Successfully Added Handheld GPS Receiver + Location Finder + Data Logger to your Shopping Cart. Handheld GPS Receiver + Location Finder + Data Logger! This unique all-in-one GPS gadget lets you pre-program multiple locations into it and acts as a handheld way point finder, guiding you towards your destination with direction arrows and a numerical distance! How does this GPS device work? Just connect this GPS receiver and location finder to your computer and use the software to store up to 16 POI (Points of Interest) inside its memory. Then, head outside and this cool gadget will show you where each POI is with an arrow (to show you which direction to head towards) and a numerical distance (to tell you how far away you are). Who can use this GPS device? Perfect uses for this GPS receiver and location finder include mountain climbing, hiking, bike riding, camping, special school projects/events... the list goes on. You can also take it with you on your next trip out of state and set as a POI your hotel, a nearby gas station, your bank of choice, and that expensive French restaurant - no more getting lost! 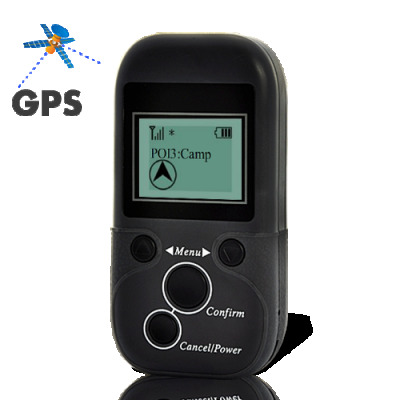 So whether you're out and about or going on a holiday, this GPS gadget is there to help you find your way. Don’t delay. Click "Add to Cart" now and in a few days, this amazing GPS gadget will be in your hands. This GPS receiver + location finder is brought to you at a factory direct wholesale price from the leaders in china direct electronics, Chinavasion. Is this GPS device waterproof? A little rain or water on the device is fine, but do not submerge in water.